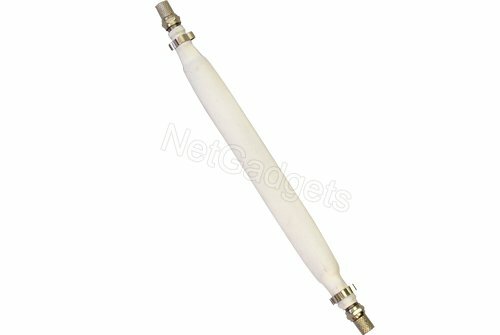 Now you can feed your aerial or satellite dish cable through your caravan window without the need for drilling holes. All you need to do is snip the length of cable that you already have and attach it to this window cable using the 2x f connectors that we have included. Note that the image in this listing shows the F connectors already screwed onto the cable but they will simply screw off ready to be used with your main length of cable.